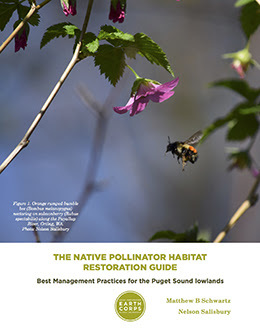 EarthCorps has developed a new Native Habitat Restoration Guide of best management practices for the Puget Sound Lowlands. The guide has a wealth of information from site assessment and design to installation techniques and long-term stewardship. The guide is meant to be accessible and helpful whether you’re a backyard gardener or a land manager.